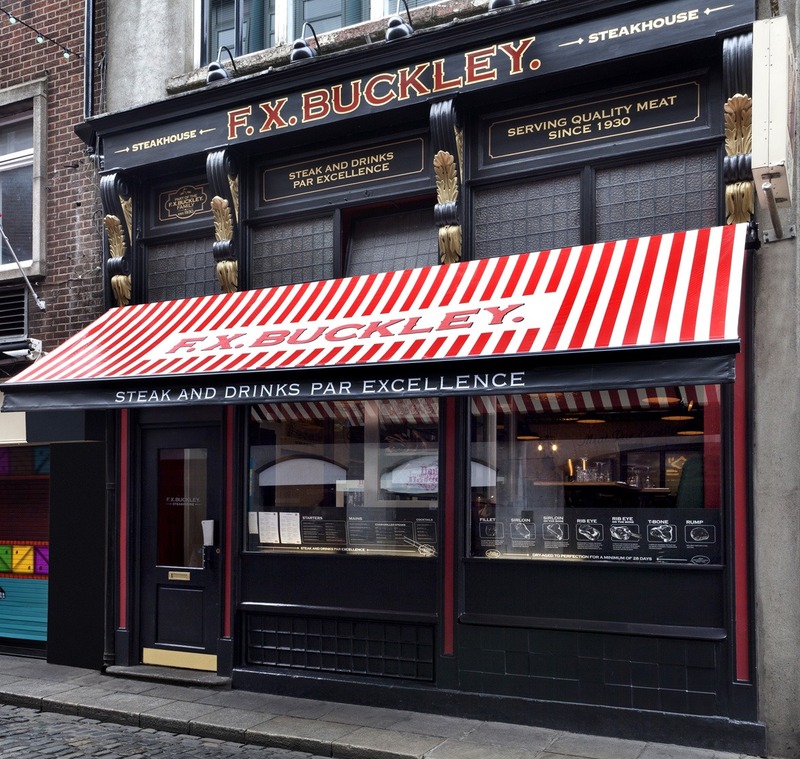 Serving Ireland’s best steak in Temple Bar, a traditional Irish steakhouse with the experience and knowledge of over 25 years serving the perfect steak. We change our menus seasonally to reflect the finest that Irish produce has to offer in combination with the finest wines, cocktails and spirits to cater for all tastes and budgets. Although it was our first ever visit to Dublin and FX Buckley, we were greeted like old friends. The minute we arrived we were welcomed, sat and were chatting about the steaks as they were shown to us. Steaks cooked to perfection were the tastiest we all had ever eaten, the sauce ms were sublime and the chips heavenly. Desert was stunning, wines delicious and above all else, service was exemplary. Thank you, it was perfect! Amazing. Can't believe I'm only going to you guys now. Always try to visit when in Dublin. 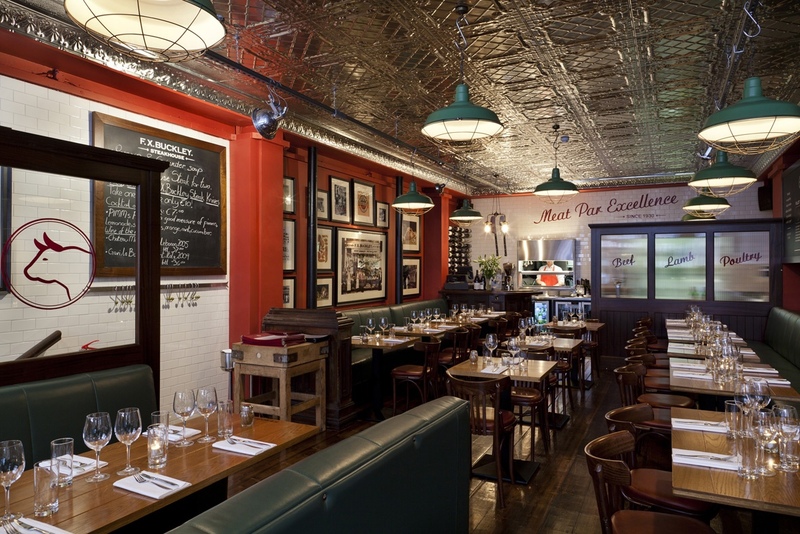 From the Booking system to the warm welcome by a charming waitress with the same friendly smile as Ms. Maisel, with this low lights atmosphere and the perfect medium rare cooking => such a wonderful experience. To sum up, it’s a steackhouse dream for a French. Clap, clap. 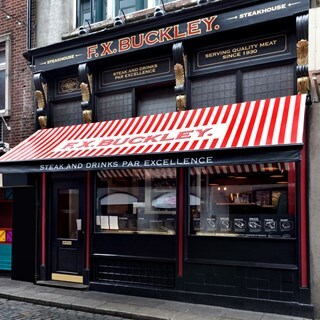 Another perfect visit to FX Buckley, and a great introduction for my work colleagues to the perfect steak. That’s Crow and Pembroke 100% for service and atmosphere. First time, but I will definitely be back! Great food and service.... really cannot fault it. Food was lovely and staff was very proffesional. It was a bit loud in the restaurant, maybe it was due to the music. Fantastic staff, and brilliant food and drink. Everyone was extremely friendly and personable and went out of their way to be accommodating. My steak and my wife’s fish were delicious. I would highly recommend this restaurant. Will be back. Great staff and food. Desserts were a little disappointing but that’s only because they werent my cup of tea. I was sad to see Mac and Cheese gone from the menu as it’s delicious. It was one of my favourite things on the menu. My mother enjoyed the meal for Mothers Day. Service was excellent. Host was very friendly and informative. I’ve been to FX Buckley on a few occasions and everytime I go I love it even more. Its up there with my favourite places to eat in Dublin. All over a very good and tasty experience.